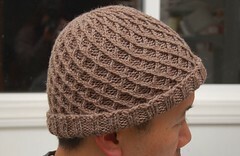 Last week I joined a hoard of knitters for the Super Bowl Unwind Sale. 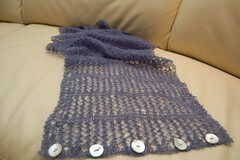 I was there for just one thing - lovely hand painted yarn for a BSJ for a friend. You know, of course, that isn't practical. Kendyl, at a sale, is the very definition of buy buy buy! 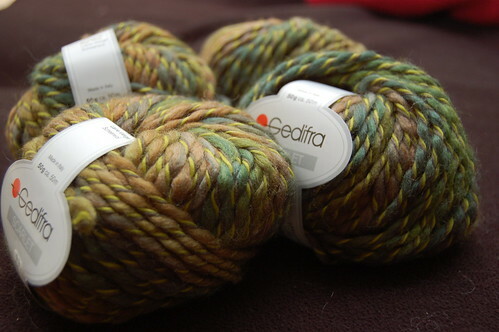 First up, some lovely chunky yarn, Gedifra Scarlet. This is my first Christmas project, for an as yet undetermined recipient! 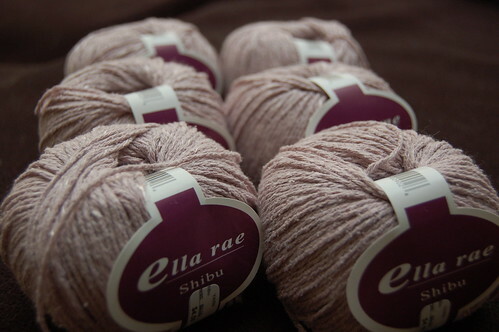 Next up is some seriously lovely Shibu from Ella Rae. 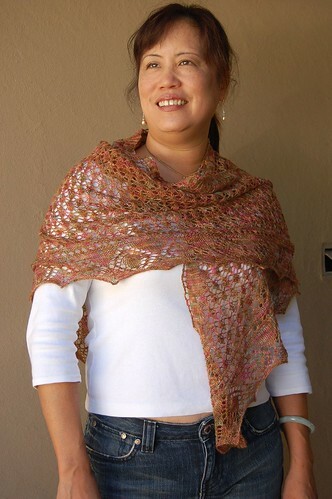 Almost all silk with just a tiny thread of viscose to lend a little shimmer. I can't stop touching this stuff. 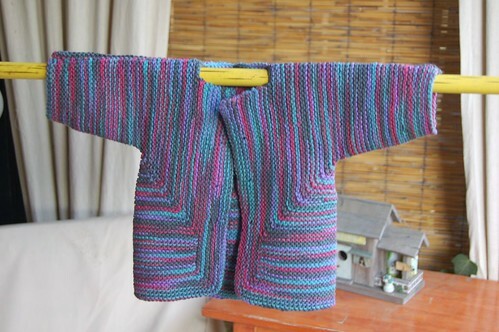 Ever since I saw this post in Eunny's old blog, I've wanted to knit this top. Do you remember it? Sheer brilliance. 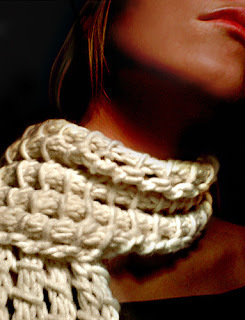 Her top was knit with Hempathy and I even have some in my stash, just waiting for me to sum up my "designing" courage. Designing as in, copy a masterwork. Here's a link to her posts. 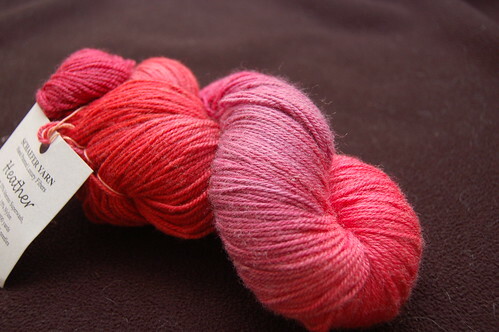 Ok, this yarn is begging to turn into this top! 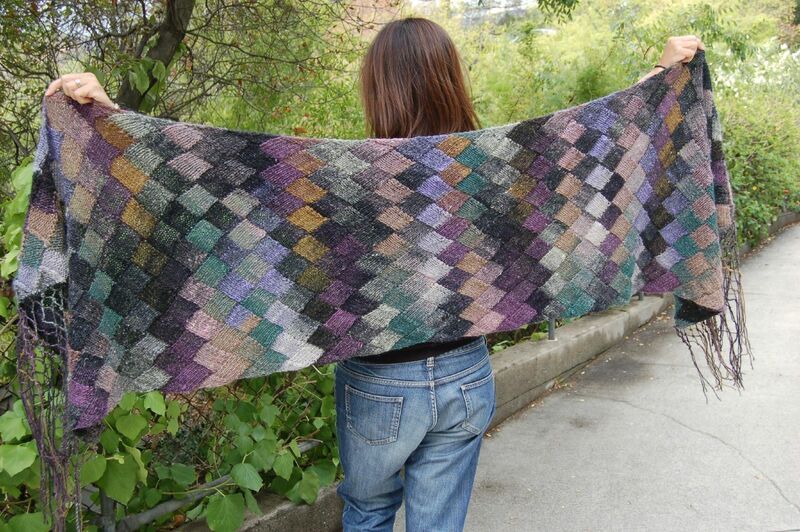 I've started swatching cable patterns and texture stitches for the background. 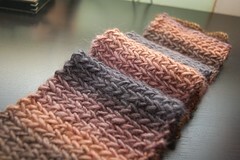 Stay tuned, for this is my version of knitting fearlessly! Finally, this is the yarn I come for! 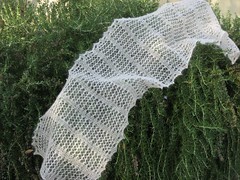 OMG this is the loveliest yarn I think I've ever seen! Completely extravagant for a baby sweater, even on sale... but really. I would totally spend this much on some store bought goods. And I get the enjoyment of working with this nothing less than magical yarn! Scheafer Yarn Heather, Merino, Silk and Cashmere. OMG - again. 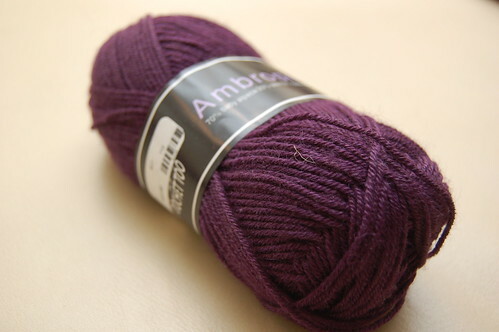 I am making Elizabeth Zimmerman's Baby Surprise Jacket and I intend to knit the button bands and hem in this royal purple. OUTSTANDING! Even if the mother hates it, (which I doubt) I will have so much fun seeing this project come to life. I can't wait.